At DirectCE, it’s our goal to bring you easy and budget-friendly continuing education. We’re always here to help our students, providing a wealth of knowledge about online education. Our staff can expedite the education process, whether you are getting a new license, upgrading your current license or require continuing education to maintain your license. We want each student to have a unique, one-of-a-kind experience with our innovative online eontinuing education process. DirectCE utilizes a network of course providers to ensure that you have access to the best state by state coverage, across multiple license types, with plenty of course options. For some states, the courses we support are accessed from within the DirectCE.com website. In other states, when you click to view courses, we will redirect you to our course provider's site. From there, you can review, purchase, and complete your courses. Our objective is to provied you with the widest range of state-approved courses to meet your license education needs. 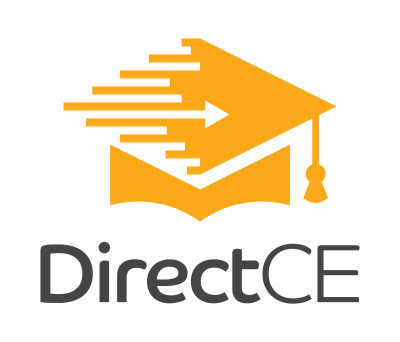 The courses we provide on DirectCE.com, and through our network of course providers, meet state requirements and are approved in each state. You never need to worry about whether a course is approved. 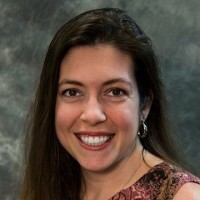 Rachel founded DirectCE with the idea that her knowledge of education, licensing, compliance and technology background would allow the company to provide an excellent education source for students around the country. She is the author and primary instructor of the training classes for the school. She also oversees the marketing, website, and Online Course Development. Rachel's nearly 15 year background in education and online education has provided a high level of respect and trust in the education industry. Rachel is also a Certified Distance Education Instructor (CDEI) by ARELLO. Rachel is also a licensed Residential Mortgage Loan Originator (RMLO) under the Nationwide Mortgage Licensing System (NMLS). She was the Director of Mortgage Compliance for a Texas Mortgage Bank and was the founder of the first professional contract processing firm in Texas. She later sold the company as she moved full-time into mortgage and real estate education and consulting. As a mortgage compliance consultant, Rachel brings extensive experience in compliance plan development, implementation, pre-audit compliance inspections, and post-audit resolution. She also provides brokerage efficiency evaluations and loan origination software set-up. "This website has made getting my education completed much easier. It was easier to use than I had expected. I was able to do it at times that were convenient for me instead of being in a classroom schedule." "It's so expensive to get a license and the later renew it. The programs that they offer provide a very affordable education plan for me to get my license. I will be renewing my license here too." " I can tell that they are really experienced people becasue when I asked questions, they had answers that made sense. It seems like they have been doing this for a long time and I appreciated that they were patient with answering all of my questions correctly."